Near the UN secretariat stands the Beekman Tower Hotel. 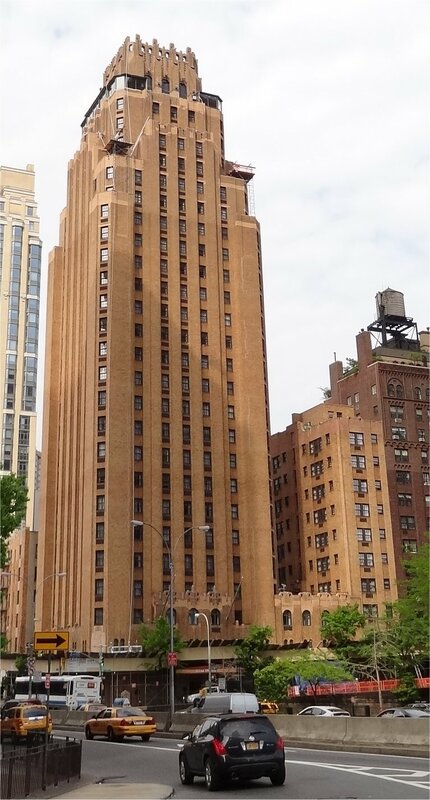 Erected during the second half of the 20’s, its design was widely lauded as a dramatic transition in urban skyscraper design. This tower, characterized by simplified forms and dramatic massing, is distinguished by its orange-tan brick and bold vertical stripping.